Meatsitter will assist anyone to cook and grill in more efficient way. 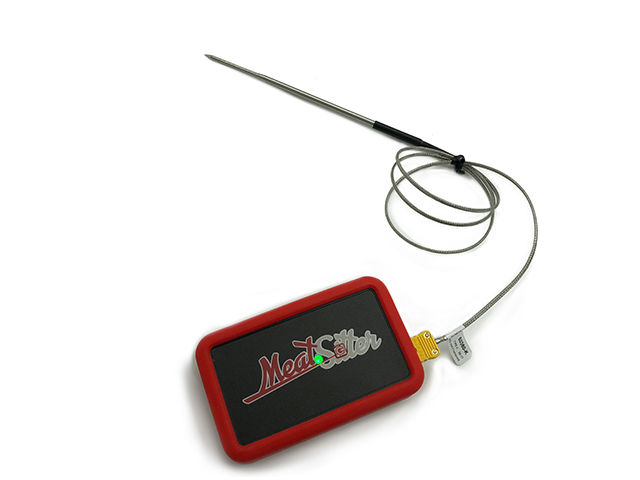 Meatsitter was created with a single goal: to simplify what it takes to cook food at the perfect temperature. Its vision is simple: deliver a device that helps you cook and grill in more efficient and precise way. Is it possible to create a device to assist people as they smoke or grill using indirect and direct grilling techniques? Are you a BBQ, grilling, or smoking novice? No problem! We were too until we learned these tips and asked ourselves if we could use a device to help us master both direct and indirect grilling. We were not satisfied with the devices available on the market. Battery life was not good because the devices require that they’re "on" all the time even though they go into deep sleep mode when you’re not using them. Also, the bluetooth range in other devices on the market is not enough so we decided to take advantage of the latest WIFI-direct feature available on recent iPhone or Android phone without the need for an expensive dedicated bluetooth to WIFI wireless gateway. With Meatsitter, all you need is your home’s WIFI. In addition, the human interface on the phone for other devices wasn’t simple enough so we tried to combine everything into a single screen using an interactive temperature gauge control that is well-suited to a small screen, including smart watches. After developing this for over a year with 3 major revisions, we are pleased to bring to you Meatsitter. While grilling on my Big Green Egg, I was faced with a challenge. How do I cook the perfect medium rare steak all the time? 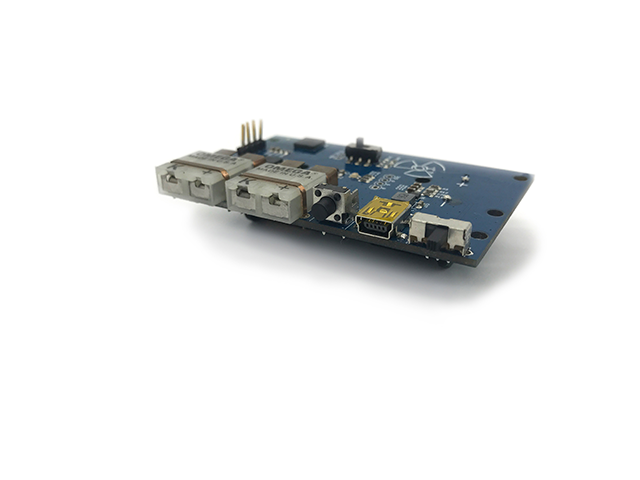 I spent one month writing a bluetooth server using bluez stack running on a raspberry PI Linux OS. 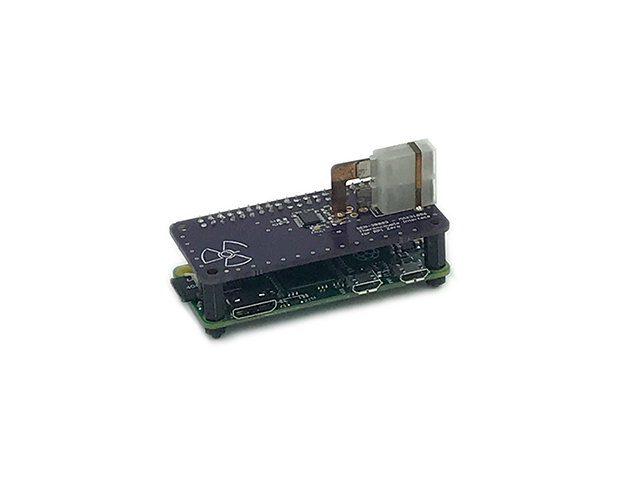 I used a USB Bluetooth dongle and connected the raspberry PI header to a thermocouple breadcrumb board using SPI protocol. I also wrote an Android app to connect to the Raspberry PI and capture the temperature. 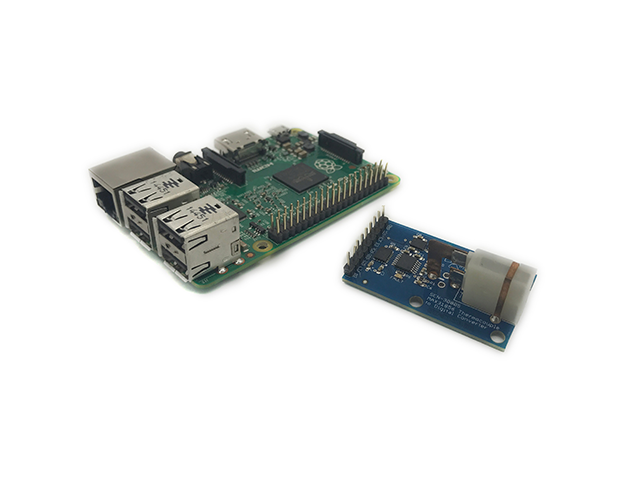 The raspberry PI 2 board connected to the breadcrumb board was not really solid when seating on the tray table of my Big Green Egg and I wanted to have a hand-held device capable of reading the temperature and sending the temperature over bluetooth. A lot of wires were hanging out because SPI involved 5 wires for 1 thermocouple or 6 for 2 so my partner Justin delivered a PI Zero HAT prototype. I did some fine tuning of the BLE server code to be able to transform the Raspberry PI Zero into a bluetooth beacon so that both Android and Apple phones could communicate to it. The breadcrumb board became a Pi Zero Hat. 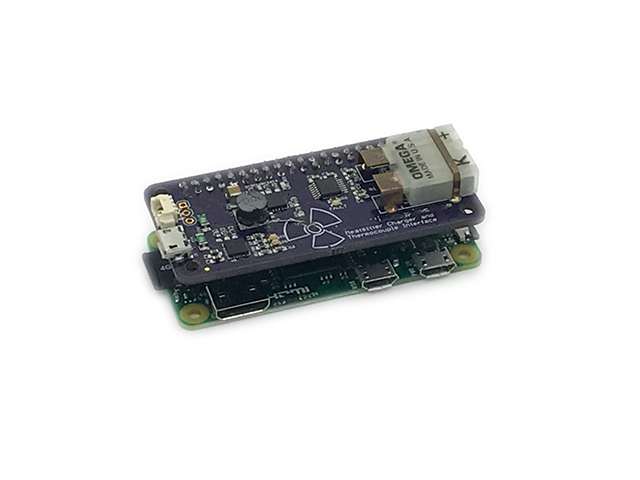 The Pi Zero was powered using a micro USB battery pack. I started writing an iPhone app to complete the Android app. The grandfather of Meatsitter was composed of a Pi Zero and a Meatsitter HAT and the entire solution was enclosed using multiple layers of laser cut plexiglass sheets. It was the first prototype to feature essential elements like its own battery using iPod Nano battery, a self power off button, and a single push reset button to reboot the Pi Zero. Unfortunately the PI Zero is not available for mass production so we needed to move away from it. With our next round of prototypes, we incorporated many of our learnings over the first year. These include mounting a stand-alone bluetooth chip, and adding a dual circuit for AAA or AA battery or USB power connector. We also began experimenting with various solutions that would be well-suited for mass-production. It included Windows software and unlike our prior prototypes, we built multiple copies to support the development activities of our adventure. Three Meatsitters were built in total, and they remained in service for roughly six months without a single connection drop before being supplanted by a new prototype revision..
We funneled all of our learnings have into improvements to Meatsitter’s reliability, performance, usability, and manufacturability, and also added a speaker. 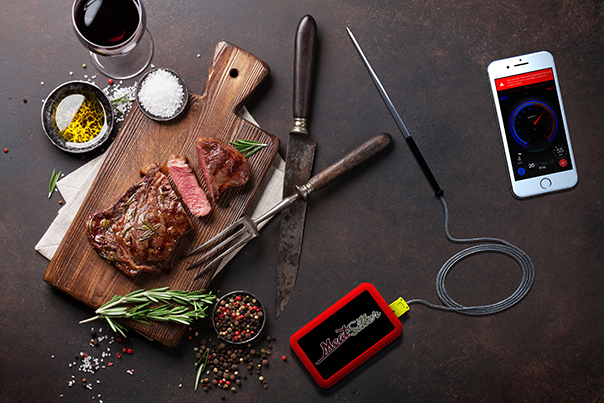 After about two years of development and hundreds of hours of testing later, we are thrilled to be heading to production with Meatsitter - one of the most easy -to- use bluetooth food monitoring devices on the market. We can’t wait to see what you will cook, smoke and grill!. Both the iPhone app and android are available for download!